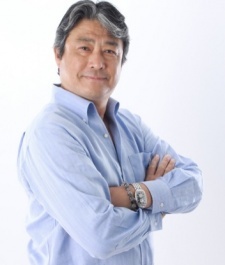 We caught up with GungHo Online Entertainment America CEO and industry veteran Jun Iwasaki while in town for GDC to talk about what GunghHo has planned for Puzzle & Dragons in the North America in the year ahead. What advertising strategy's been the most successful for Puzzle & Dragons' user acquisition in the west? It's better to tie up with some sort of collaborative event. Recently, we've tied in with Evangelion and Batman along with several other famous IPs, which have been very successful for us. This really helps us acquire new users, and has been one of the best advertisements for our game. With a number of successful tie-ins and collaborations, Puzzle & Dragons been described as both a game and a platform. What does it offer to mobile gaming as a marketing platform? I dont think it's accurate, really. If you think of it as a way for them to get on with Puzzle & Dragons I guess I could see it as a platform but [GungHo Online Entertainment CEO] Morishita-san is very game-oriented and everything has to be right in every single tie-in he does. So, it's Puzzle & Dragons first then the collaborations - and that part is never going to get compromised. How engaged are Puzzle & Dragons' western players compared to eastern players? Do you see any differences in play session lengths or major differences in retention? Recently, we've seen almost the same number collaborations and in-game events in the US as there are in Japan. But in the past we've gotten a lot complaints from US users that they weren't getting the same number of events and collaborations as Japanese players were. The reason why the numbers have gotten closer is because the US version and Japanese version are both controlled by the Japan team. So, after launch, there wasn't enough manpower and it was hard to prepare US events in addition to Japanese events. Recently, the US events have got much closer to the quality of Japanese events so they're almost the same. Japan recently saw the release of Puzzle & Dragons Z for the 3DS and it's done very well since launch. Is still coming to the North America? And what about Europe? Sure  but I can't say for sure when. We're definitely planning to launch Puzzle & Dragons Z here in the US - and in Europe as well. Who is the target player for Puzzle & Dragons Z? Are you looking at young male players, young female players, older Pokemon players? That's a good question [laughs]. It's launching on that platform, as you know, the 3DS. That platform, compared to smartphones, we think has maybe a little bit of a younger audience. Demographic as in age demographic? That doesn't matter. As I mentioned before, our target is core users - someone who's familiar with JRPGs and the like - but we're thinking 10-18, maybe 18-24 in that range. But we're not really breaking it down by age - we're targeting the core and mid-core users. 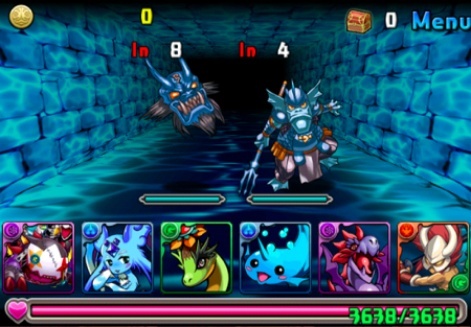 Do you think Puzzle & Dragons is too involved for casual players, or do you think it's possible for casual players to become invested in the game? Casual players are definitely present. At the start, it's really easy to capture casual players but after that - you have to know about a lot of different things. It's almost like having a knowledge of Final Fantasy, despite the puzzle part of Puzzle & Dragons being very similar to, say, Candy Crush. Still, you need a knowledge of RPG elements - combos, that sort of thing. So, Puzzle & Dragons users need to know that certain combos are better against certain monsters, and that sort of knowledge is something you get as you player longer and longer. Maybe it's tougher, then, for casual users to get invested - but it's not impossible. Additionally, we recently announced Puzzle & Dragons W in Japan and I believe it's more of a fit for casual users to consider playing Puzzle & Dragons. Representing the former colonies, Matt keeps the Pocket Gamer news feed updated when sleepy Europeans are sleeping. As a frustrated journalist, diehard gamer and recovering MMO addict, this is pretty much his dream job.